"These are skills that don’t depend on height, strength or physical attributes and are what ultimately made me an asset to the USA Women’s National Team and to my professional club teams." Young players ask me frequently what they can do to better their chances of success on the volleyball court. To be completely honest, I used to struggle when answering this question. I mean, come on! How am I supposed to assess someone without having prior knowledge of who they are, their genetic makeup, speed, versatility, personality, strengths, weaknesses and level of play? All of these characteristics play a significant role in an athlete’s overall ability or potential, so it’s hard to advise someone who you don’t know. Your chances of making this team or your chances of being successful will be highest if you are versatile, if you know how to play the entire game. Why did I keep emphasizing versatility? After analyzing my own personal successes, I realized that, SHOCKER, versatility was MY key to success. I wouldn’t be the player I am today without the early influence of Wave Volleyball and two of my coaches: Jeanne Reeves and Ed Machado. Both of them constantly emphasized the importance of versatility, and they never categorized players by skills. They made you listen, learn, react and perform as if you were playing any position. For example, our liberos had good enough court awareness to produce points. Our middles could dive like defensive specialists. And our setters could serve receive for an impressive statistic. Don’t get me wrong, there were times in practice when it was necessary for players to work on the skills that would benefit their current positions. However, in general, we started practices with every player playing in every position – no exceptions. Through this type of training, our team became deep, knowledgeable and experienced, and although we weren’t the most physical or the tallest team, we were one of the most successful. I don’t want to make general statements about ALL volleyball players. Although I’m preaching the power of versatility, there are plenty of accomplished players who were great at one skill and made that their sole expertise. But, in general, coaches have a harder time overlooking a player if, especially at a young age, they have the ability to perform in multiple areas. Let’s take Courtney Thompson, for example. As a 5-7 setter, it’s almost unimaginable that she was recognized as one of the best players at her position in the world. But her passion, leadership and ability to be good in multiple skills overshadowed her lack of height – even at the Olympic level. Taking a 5-7 player on the Olympic roster was risky, but the U.S. coaches couldn't afford not to take her. She was simply too valuable. So they converted her to a serving specialist just a few months before the Rio Olympics and brought her in that position, and she contributed to a bronze medal finish. Another good example of versatility is Cassidy Lichtman. On the U.S. team, Cass moved from setter to right side, right side to outside and outside to libero. She was never the tallest, strongest or fastest player, but her depth made her valuable. 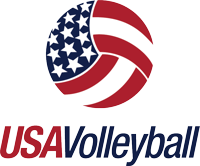 Although I could mention multiple USA players who have possessed this sort of characteristic (Michelle Bartsch-Hackley, Tori Dixon, Nicole Fawcett, Jordan Larson, Lauren Paolini, to name a few), the last example that I will give is Kelsey Robinson, who was also a member of the 2016 Olympic team. She is 6-2, but she was never the biggest or strongest player in the gym. But she became a top-level player by doing everything well. When I talked to her about versatility, she said: “A lot of people think that the only way to contribute to their teams or get noticed by college scouts is to be able to put the ball away. Of course, that is always a great skill to have. But as you move up from high school to college, or college to the professional level, EVERYONE has the physical ability to put the ball away. (Being undersized but wanting to be a hitter), I had to learn how to contribute in a different way … to be more than just an attacker. I was never the most powerful player, but I am dynamic. Have you ever been told that you were too short to play outside hitter or too tall to be a libero? If so, that’s ridiculous. If you can play the game, you can play the game – simple as that. If you can score, who cares if you’re short? If you can pass, who cares how tall you are? Don’t let physical characteristics bring you down. Make a coach have to have you because you are too valuable not to have! A lot of us get caught up in looking ahead. Sure, we play volleyball because we love it, but we also play with the greater intention of earning a golden ticket to the school of our dreams. So we rush to throw ourselves into the position that “works” for our current skill set or genetic makeup, and then we relentlessly pursue “greatness” in that position. When we confine ourselves to one position, especially at a young age, we lose the opportunity to develop skills in every aspect of the game. That could be the difference in the future between being great and being mediocre. Don’t get me wrong. I definitely see value in having specialty positions. But I worry that we put too much emphasis on being great at ONE skill with the intention of being noticed in that position. Keep in mind, college coaches recognize talent. They’re smart enough to see a player’s skill set in one position and assess their potential for another. So try as hard as possible not to get caught up in the recruiting hoopla. If you’re versatile, deep, athletic and fight to become the best version of yourself, the recruiting will come. And the younger you learn to develop every skill, the more valuable you’ll be to your team in the long run!